Solutions for Your Home—and Your Dog! Let’s face it, as much as you love your adorable pooch, nothing they do can make you love the mess they leave behind when they trample their muddy paws on the freshly cleaned floors of your home! Soggy Doggytakes care of that, leaving you nothing but extra time to play with your fabulous energetic best friend. 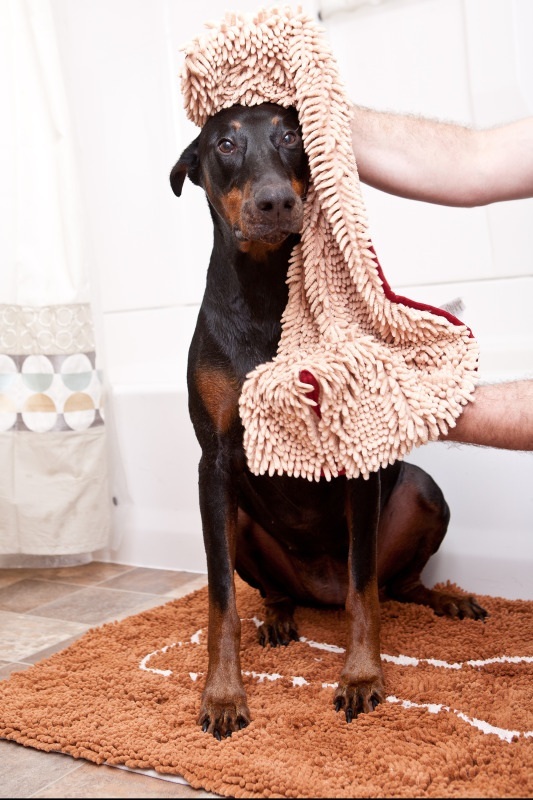 With their amazing products such as theSoggy Doggy Doormat® and Super Shammy, you can rest assured you won’t be spending all of your time cleaning up after your pup. The Soggy Doggy solutions eliminate one of the most annoying aspects of dog ownership – mucky paw mess! 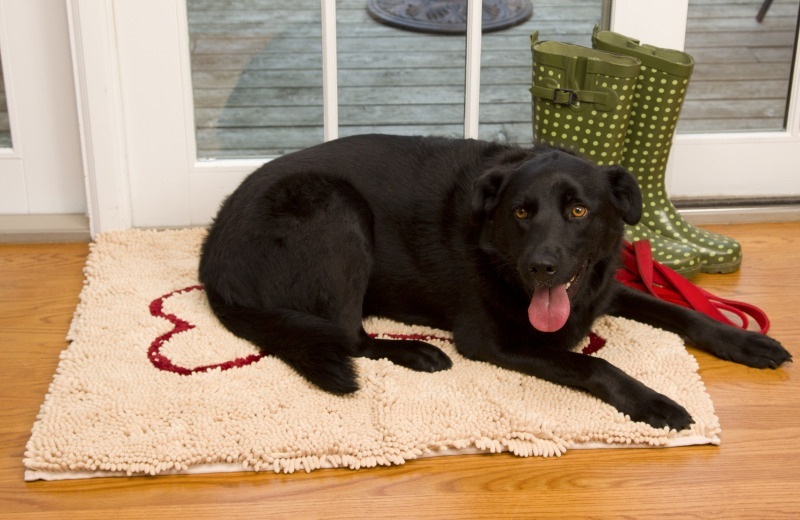 The Soggy Doggy Doormat® is a great compliment to your home. Available in beige, blue, caramel, and dark chocolate brown, you are sure to find one that fits your decorating needs perfectly! The doormat is a super-absorbent, durable, microfiber-chenille shag mat that absorbs more water and dirt than a typical doormat, dries much faster, (and remains bacteria and odor-free too!) It’s made from millions of textured, woven, ultra-fine strands, which means that the surface area of this doormat is much greater than meets the eye. Best of all, it goes in the washer and dryer and comes out good as new! Now that their pretty little paws are clean, what about the rest of them? The Soggy Doggy Super Shammy helps you dry off your pup with the same love and comfort you would give your child, because let’s face it, for most of us – our dogs are our children! It is made from the same microfiber “noodle” material as, the Soggy Doggy Doormat®. The fibers of this towel are actually millions of textured, ultra-fine strands woven together. The expansive surface area gives the Super Shammy tremendous absorbing power, and allows it to dry quickly. Best of all? It never gets that “wet dog” smell.. The Super Shammy also has convenient hand pockets for those hard to reach wet underbelly areas, and is able to go right in the washer and dryer. One size dries all.